There’s far deeper question for me. 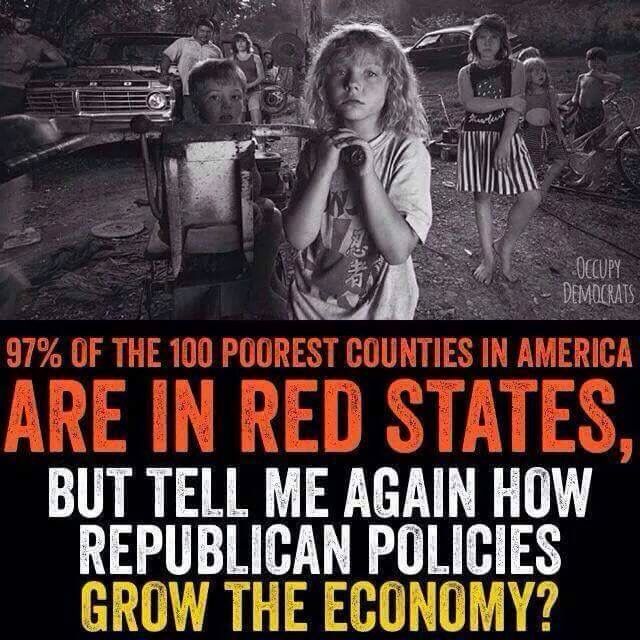 If the Republican Party is based on family values and morality, why then do their policies always seem to punish the least advantaged among us? I wish someone would please tell me again how cutting food programs to hungry children is the “right thing” to do. This entry was posted in Facts & Statistics, Hunger & Poverty, News & Views and tagged economy, family values, food programs, hunger, morality, politics, poor, poverty, red states, Republican Party, Republican policies on November 12, 2015 by Ray Buchanan.